In this second post in the series, I will examine why I doubt China’s efforts to bolster its soft power will succeed today. Over 70 per cent of the respondents [to the survey] – people in government, academia, business and media and civil society in ten ASEAN ­nations – said the United States’ reputation under Trump had either deteriorated or deteriorated immensely. Yet at the same time, respondents to the survey had extremely negative perceptions of China, while they admitted that Beijing was becoming the essential strategic actor in Southeast Asia. A majority of respondents in the ISEAS-Yusof Ishak Institute study, as the South China Morning Post noted, said they had little or no confidence in China to essentially act in the region’s greater good, to protect common regional interests. Even in Laos, one of the countries highlighted in the New York Times’ Sunday report on One Belt, One Road – a place where China is spending feverishly on a railway project and the economy has becoming increasingly dependent on Chinese aid and investment over the past decade – it is hard to definitively say that China’s public image has improved in recent years. Laos’ new government, which took power last year, reportedly is packed with top leaders close to Vietnam. Meanwhile, those who wanted to tilt Laotian foreign policy toward China retired or did not take senior positions in the new, 2016 government. Although it is difficult to measure, it is hard to see that Laotian public opinion toward China, which soft power would target, has been swayed either. There have been a series of unexplained attacks on Chinese nationals in Laos over the past two years – in part possibly because of public anger over Chinese firms’ environmental records in investments in northern Laos. Although Laos is one of the most repressive places in the world, social media often includes strident anti-Beijing writings. One major reason why China’s soft power strategy is not currently working is that Beijing simply has spent the last decade exerting significant hard power, particularly in Southeast Asia and Northeast Asia, its near neighborhood. And, its growing willingness to wield coercive strategic and economic power has made its soft power a more difficult sell, even when Beijing is lavishing funds on One Belt, One Road and cultural, media, and educational projects overseas. Thus, while people in the region recognize China’s growing hard power, Beijing’s soft power is a really tough sell. Many states in the region, from Japan to Singapore to Vietnam to Myanmar, have become increasingly wary of China’s seeming desire to dominate the region. In such an environment, aid, cultural programs, media, and other soft power tools will find few minds to convert. Meanwhile, even in places like Central Asia, South Asia, and Eastern Europe where China’s One Belt, One Road will provide critical infrastructure links, power plants, and other important assistance – and where China exerts less obvious hard power than in the South China or East China Seas -- many leaders fear that the project will simply make it easier for China to flood local markets with Chinese goods, while not being willing to handle trade deals fairly. In Africa, Central Asia, and Latin America, among other developing regions, China’s aid and investment and funding for infrastructure are more warmly welcomed, but they are not without downsides. (Polling data suggest that Africans view China more favorably than people on many other continents.) 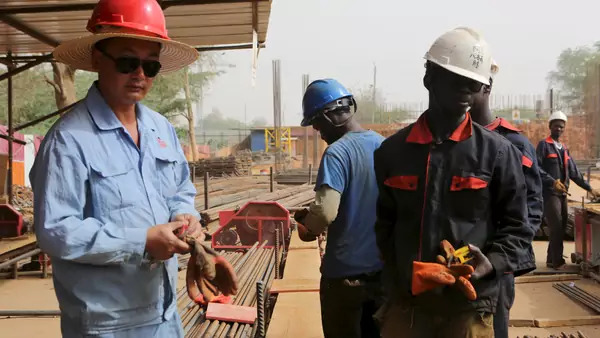 Some African opinion leaders, while praising Chinese investment, have in recent years complained that Beijing employs too few local workers, pays little attention to environmental norms, and dumps products below costs on African markets. More broadly, since China’s own domestic media environment remains tightly constrained – and is in fact getting less free under Xi Jinping – it is hard for Beijing to convince anyone outside of China to be interested in its cultural programming, as the Economist notes. In my next post, I will discuss why even the global democratic regression of the past decade will not necessarily bolster China’s soft power or increase converts to China’s authoritarian style of politics.